Welcome to Power & Influence Photography! 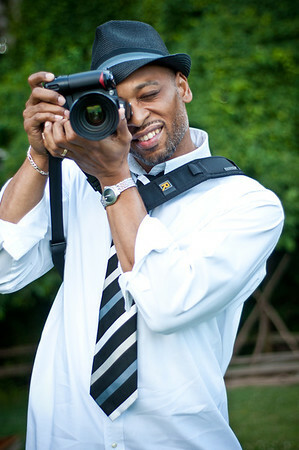 My name is Tyrone Power Easley II, I am a Middle Tennessee Wedding and Portrait Photographer based in Nolensville, TN. As a photographer, my goal is to capture your special moments. Those moments could be the love between you and your future spouse, the 1st professional portraits for you and your family, or those special portraits for your High School Senior. No sessions are alike because I work directly with you to make sure your vision comes to life. People ask me all the time " How long have you been a photographer?" I use to struggle with an answer. Was it when I was in the 3rd grade and used to sneak my mom's point and shoot camera to school? Was it when my dad brought me my 1st SLR camera in High School? Or was it when I had my 1st paid photography job as a photographer's apprentice while I was in college? For me the answer is "all my life." Photography has always been not only a part of my life but a part of me. It's not a job to me; it is a passion that breathes life into me. The hard work is always overshadowed by the fun that I'm having. I believe that my purpose as your photographer is to not only capture your special moments, but also to make sure you have fun and enjoy the process. I believe every person has an inner beauty that can be shown through my images. I strive to make sure my work is the highest quality and not only meets your needs but exceed your expectations. By visiting this site, you've already taken the 1st step, now give me a call (615-568-7494), email (tyrone@powerandinfluencephoto.com) or just complete the Contact Me form above . I would love to talk to you about your vision and how Power & Influence Photography can bring it to life. Click here to see my portfolio.